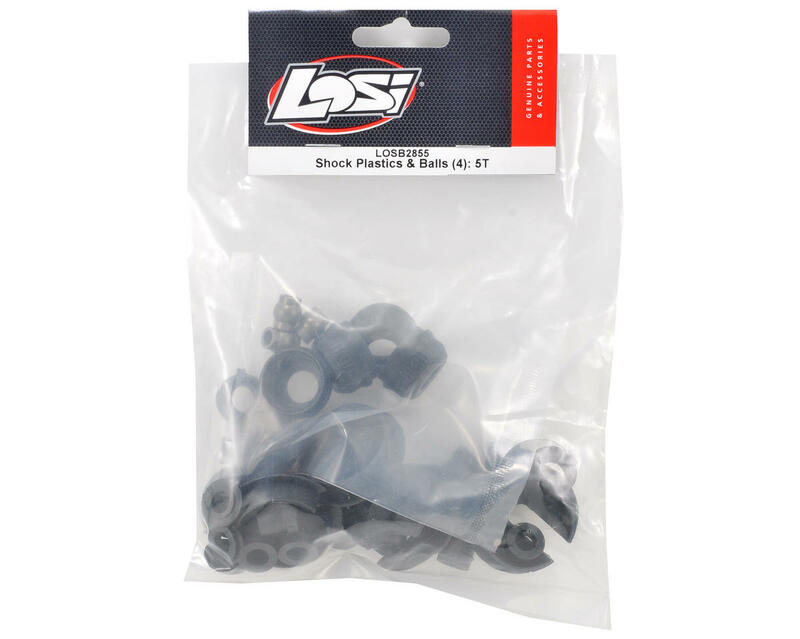 This is a replacement Losi Plastic Shock Part Set with Pivot Ball, and is intended for use with the Losi 5IVE-T 1/5 scale truck. 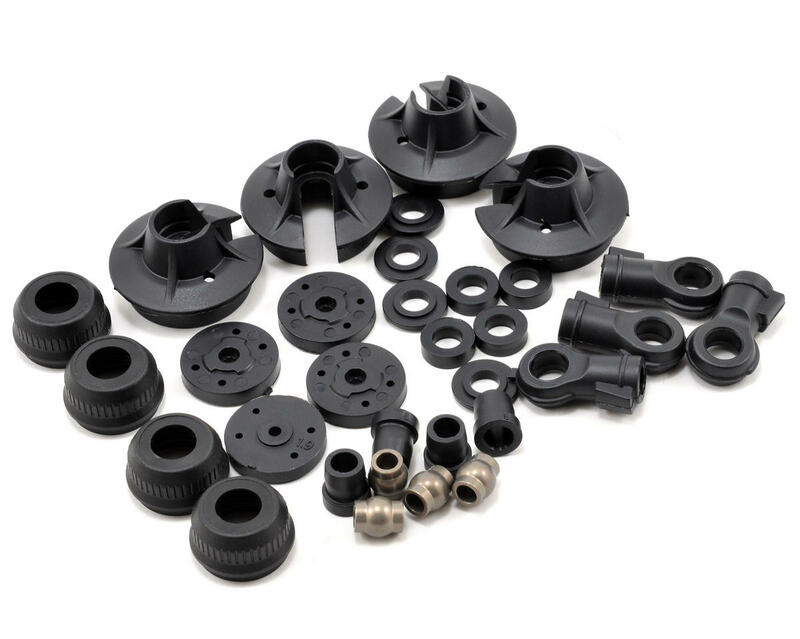 This package includes four spring cups, four pistons, four cap bushings, four shock ends and four lower caps, as well as the shock shaft guides for four shocks. This package also includes four shock end pivot balls.